Fluence says that Australian governments, regulators and grid operators are ‘learning-by-doing’ in their application of large-scale battery storage. The technology provider on the new 30 MW/30 MWh utility-scale battery at Ballarat indicates that the approach could deliver significant savings when compared with grid upgrades that could be considered “not optimal” as battery technology rapidly improves. The two large-scale batteries will be funded by the Victorian government and ARENA. With high grid costs, a highly competitive of pipeline of solar and wind generation coming online, and retiring conventional generation, Australia is shaping to be a key electricity network laboratory writ large. U.S.-based large-scale storage integrator Fluence believes these ingredients are attracting storage investment as it prepares to deliver a 30 MW/30 MWh grid connected battery in Victoria. Last week it was announced that Fluence would supply a battery system to a consortium of Spotless, AusNet Services, and EnergyAustralia – under a contract signed with the Victorian State Government. The battery will be installed at the Ballarat Terminal Station operated by AusNet. The system is designed to meet peak electricity demand, along with providing frequency regulation services. It is sized to meet peak demand from the equivalent of 200,000 homes for one hour. Fluence is the result of a joint venture between U.S. utility AES and global power giant Siemens. It was launched in mid-2017. 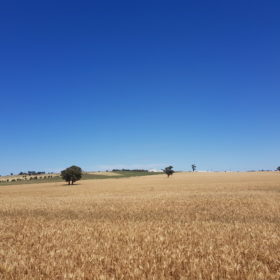 Alongside the Ballarat project, Fluence is also partnering with the Lyon Group on the developer’s Australian utility-scale solar+storage plans. Fluence’s Kathpal says that a strong business-case for large-scale storage has emerged particularly “on the network side”, where it is competitive with grid expansion programs. “Honestly, the learning that has been happening until now has not been heavily subsidized,” said Kathpal. “The alternative is making large commitments to new generation or grid investments that are not optimal once you consider the introduction of storage. For large-scale solar+storage applications, Fluence’s Siemens and AES engineers have designed a DC-to-DC storage architecture called SunFlex. By scattering storage units throughout a PV power plant and coupling on the DC bus, Fluence claims that the cost of storing the solar power can be halved. The SunFlex solution, if it delivers on storage efficiency as promised, could dramatically improve the business case for large-scale storage to be deployed as an integrated solution within PV power plants. Construction has begun on the Ballarat 30 MW/30 MWh battery, with completion slated for November. ARENA is providing $25 million towards the project.